One of the questions I get asked frequently is for help organizing rooms in your home. 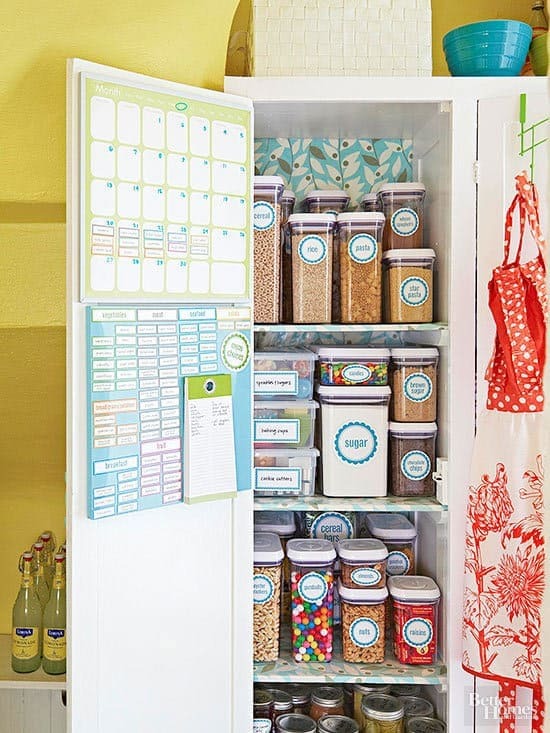 January is a time to purge and organize, so let’s get you inspired with some of Best Kitchen Organization Ideas! Use wire organizer to contain the mess! Add more functionality to your cupboards by installing pre-made pull-out shelves. There will be no more struggling to reach that pot that’s stuck in the back of the cabinet thanks to Toni at Design Dazzle. 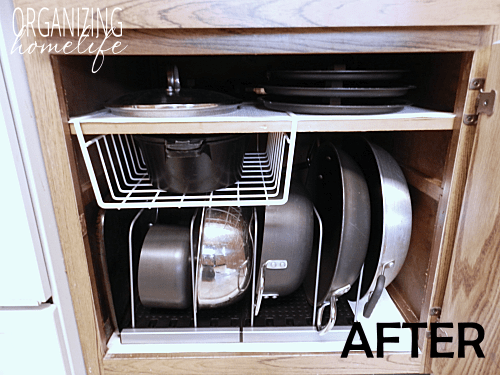 Adjustable pan racks are another great option that allows easy access to the pan you need! 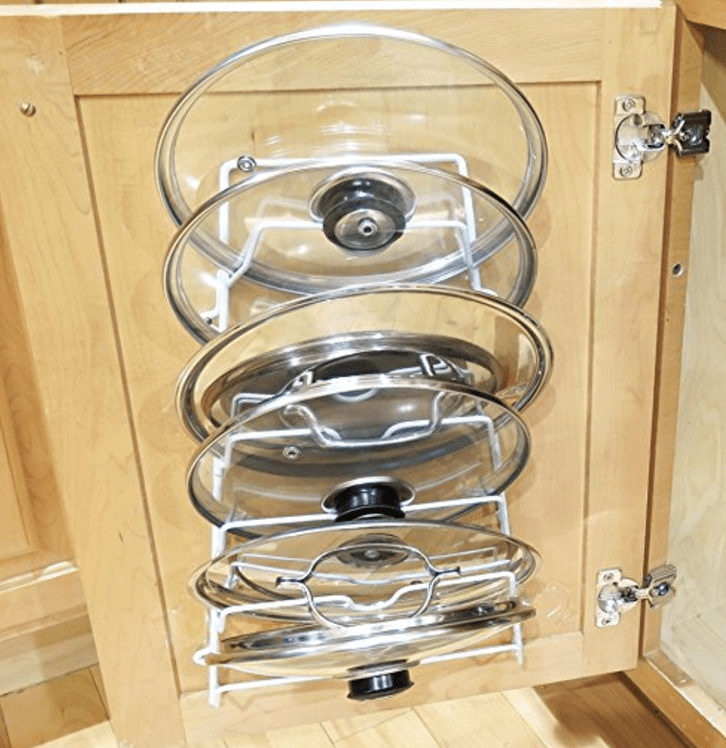 Once all your pots and pans are neatly organized, hang the lids behind your cabinet door with one of these smart cabinet door lid organizers. Don’t want to DIY? 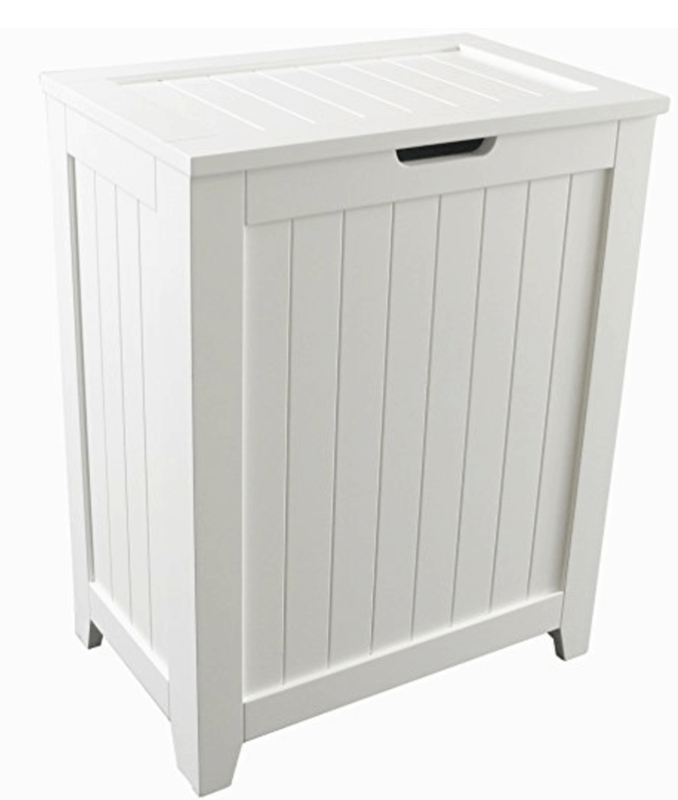 Buy a standalone wooden laundry hamper and add a trash can instead! 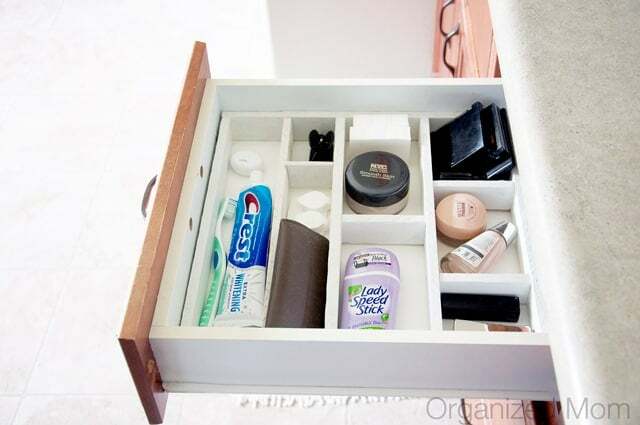 Organize your drawers with these DIY dividers from Organized Mom. Get your measuring spoons out of your the drawers and up onto the back of a cabinet.Then label them with these decals available on Etsy. Don’t have a pantry? Use a wardrobe or armoire instead! 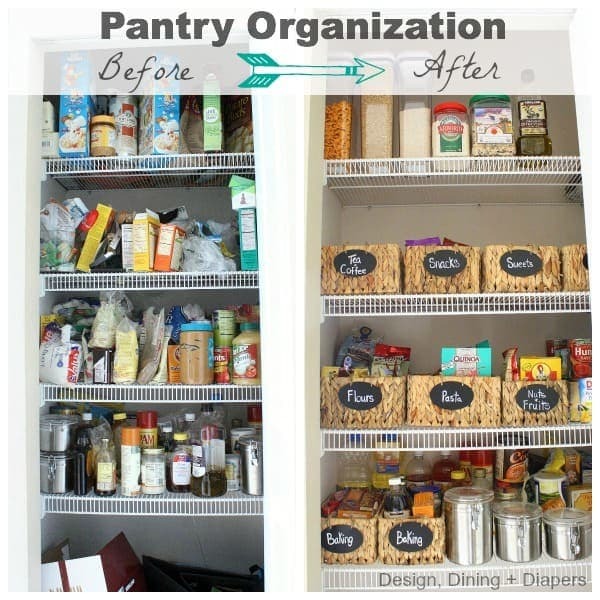 Adding baskets and containers to coral items is the best way to organize your pantry. Don’t forget to purge while you’re at it! I don’t know about you, but my condiments always get shoved to the back of the fridge and I can never find or reach them! 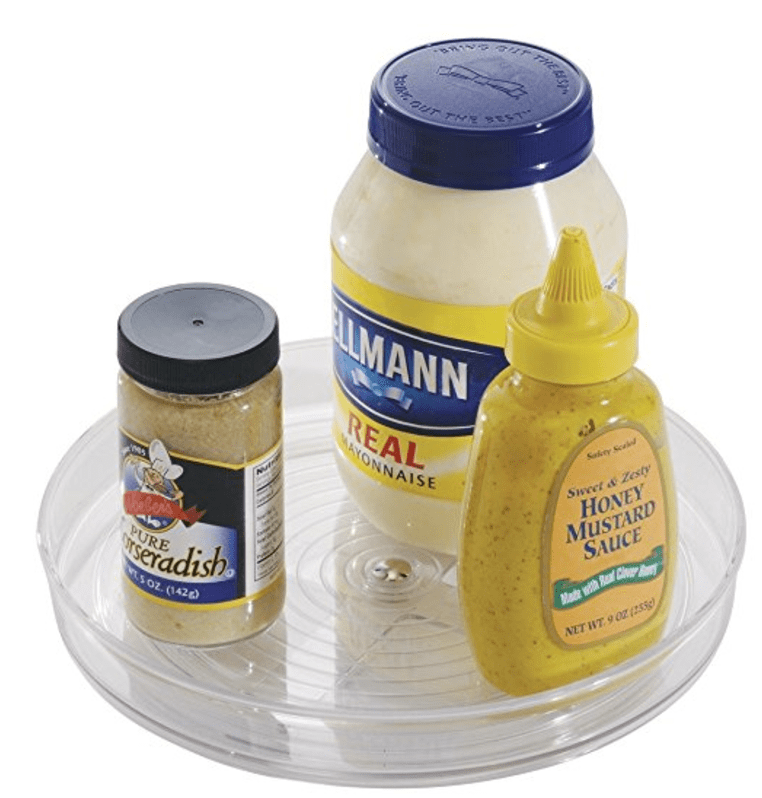 Using a lazy susan is a great way to easily have them in reach at all times. These fridge bins add much needed storage and organization! PLUS they’re only six bucks! 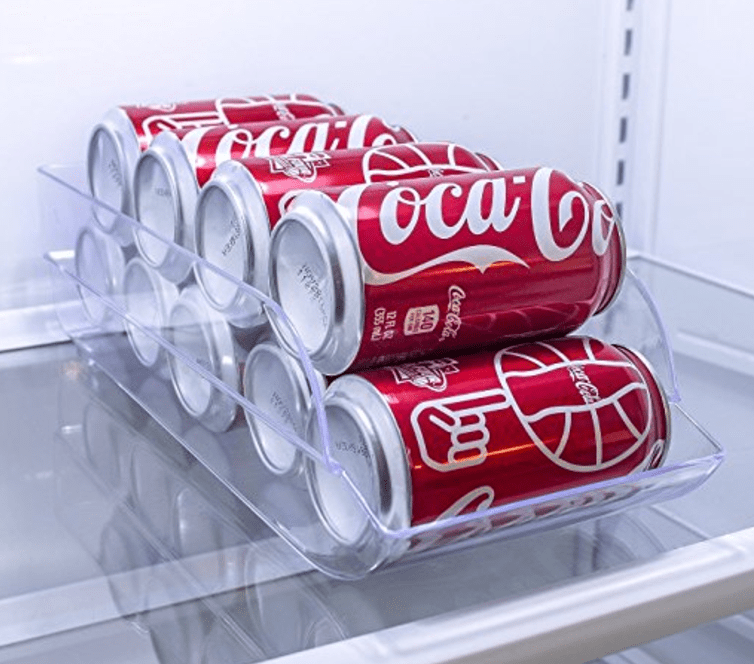 Keep soda and beer organized with these genius stackable bins. You can get them for water bottles, too! Add a kitchen command center like this one! 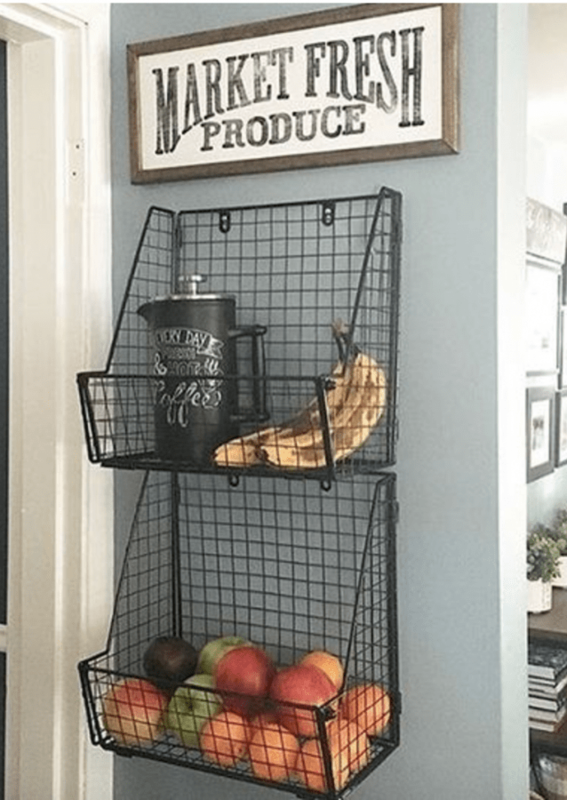 Get produce off the counter and into a wire basket! How awesome does this look? Are you on an organization kick? Then I highly suggest reading How To Organize a Small Bedroom on a Budget! 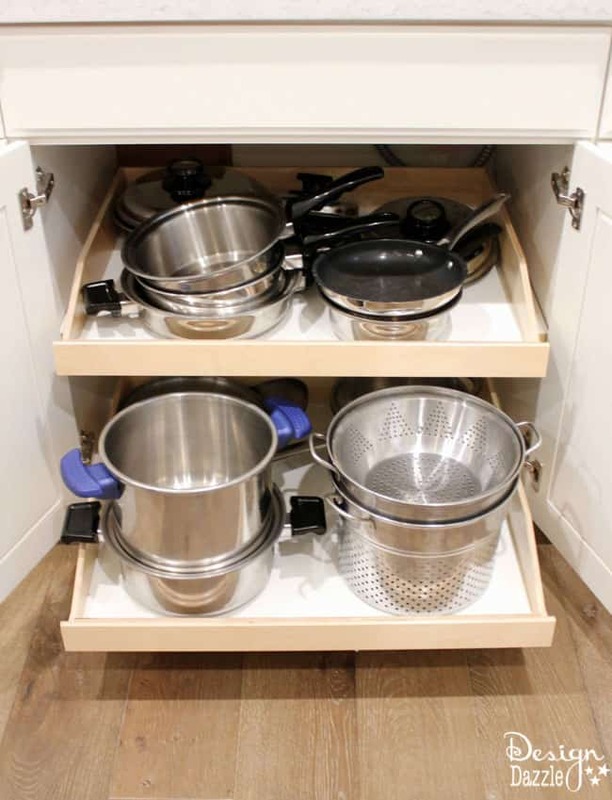 Do you have any great kitchen organization ideas? I’d love to hear more – drop me a line in the comments below! 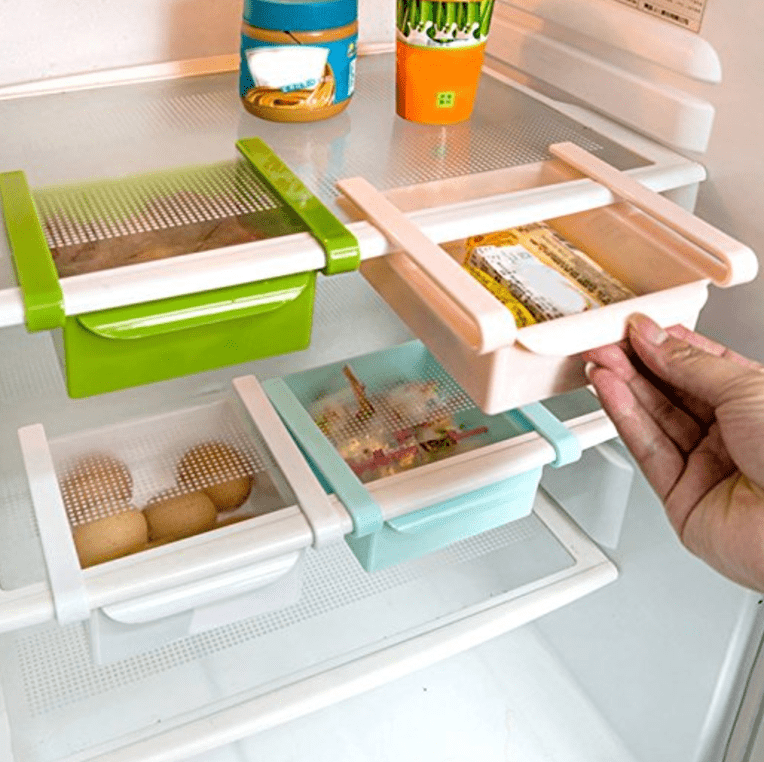 These fridge bins can be purchased from Wish.com for only $1. The shpping is very slow, but worth the wait for such a good price.